In the United States, there has been much finger pointing over America’s declining ranking in global education measures. According to the Pew Research Center, the United States ranked 38th in math and 24th in science among advanced industrial nations in 2015. Some place the blame for this lackluster performance on the public education system and teachers unions for undermining the educational quality of schools. To fix this problem, policymakers have proposed a myriad of programs dedicated to giving students and their families alternatives to public education. Legislators emphasize that they want to improve the system through greater “school choice”. Some of these programs seek to give parents the opportunity to send their children to charter or magnet schools that are also publicly funded, while other programs go further and claim to give parents the financial capability to send their children to private or religious schools. 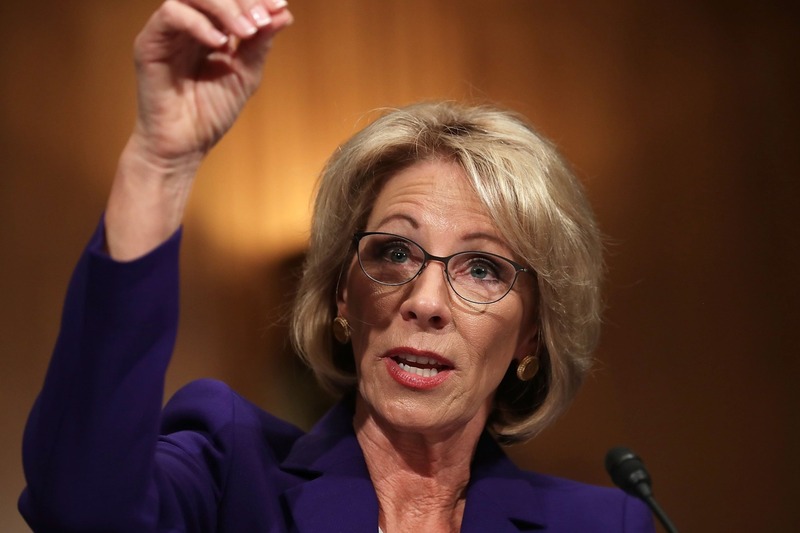 Various states have adopted different forms of school choice, but with President Trump’s appointment of Betsy DeVos, an avid proponent of school choice, as Secretary of Education, the debate has expanded to exploring the policy at the federal level. Both sides of this debate do have valid concerns and data gathered from studies by various organizations and think tanks to support their position. Supporters of school choice generally tout that school choice programs will assist students living in impoverished areas by giving them choices other than their local or unsafe public schools. They also claim that children with disabilities benefit from these programs. In Ohio, through the Autism Scholarship Program, any parent of a student that has been identified as autistic and has an individualized education plan (IEP) can qualify for a scholarship that allows them to send their child to attend a school outside of their own district. In the school choice proponents’ view, increased competition will make not only the private, charter, and parochial schools high-quality institutions but also raise the quality of the education at neighbouring public schools. Opponents of school choice, on the other hand, claim that these programs drain too much money away from the public school system, making it unfair for the children who chose to stay at their local public schools. They also point out that private and religious schools, in particular, can craft their own curriculum without much interference from the state. This could pave the way for billionaires with agendas to fund and operate schools with the motivation to further their own political or economic interests. Many are wary of the motivations of the Koch brothers, the conservative billionaires who are involved in the natural gas industry. Their fervent support of school choice has many worried that they will utilize their power to control school curriculums by, for example, discouraging the teaching of climate change. Equally alarming is the fact that religious institutions can indirectly use state money to teach subjects such as creationism, which counters the scientific theory of evolution. However, in the 2002 case Zelman v. Simmons-Harris, the Supreme Court ruled 5-4 that Ohio’s school voucher program that used public money to finance children going to religious schools did not violate the Establishment clause of the First Amendment. The rationale for the decision was that since the public money would be given to families so that they could choose which school their children would go to, it was not a direct transfer of public money going to religious schools. This case, however, was extremely controversial at the time and was decided along partisan lines, with the 5 conservative judges voting in favour of the program and the 4 liberal judges voting against it. Even with charter schools that are publicly funded and privately owned, corruption and scandals have become commonplace occurrences because there is little regulation to monitor their activities. A study conducted by the Center for Popular Democracy concluded that, since 1997, charter school officials in Pennsylvania have defrauded at least $30 million that was intended for Pennsylvania school children. In Ohio, $27.3 million was misspent by charter schools, and Florida’s charter school situation has similar problems of corruption and mismanaged funds. Apart from these serious concerns, opponents’ main criticism of school choice is that it simply does not live up to the promises that school choice advocates make. Overall, the research shows that school choice has a nominal or even negative effect on academic performance and standardized test scores, but higher graduation rates, higher levels of parent satisfaction, and an improvement among public schools in areas where school choice is available. Much of the research on school choice specifically focuses on school voucher programs. A school voucher is a government-funded voucher that can be redeemed at any school, whether it be a charter, religious or private school and is how most school choice programs are funded. According to a report from the Brookings Institution which looked at recent research done on school vouchers in Louisiana and Indiana, students who received vouchers to go to private schools scored lower on standardized test than students who stayed in their local public schools. The severity of the impact on a student’s score was also drastic. A public school student in Louisiana who scored in the 50th percentile in math declined to the 34th percentile when he or she attended a private school the next year after receiving the voucher. For reading, the drop was less significant; students dropped the 50th percentile to the 46th percentile. Similar results appear in Indiana, where a student scoring in the 50th percentile in math, on average, drops to the 44th percentile once they chose to go to a private school the year after. According to the Center on Education Policy, students who participated in Milwaukee’s voucher program had rates of achievement that, over the course of three years, were similar to a random sample of Milwaukee public school students. The Brookings Institute report also found that public school students, in general, are catching up to their private school peers in terms of national assessment scores. 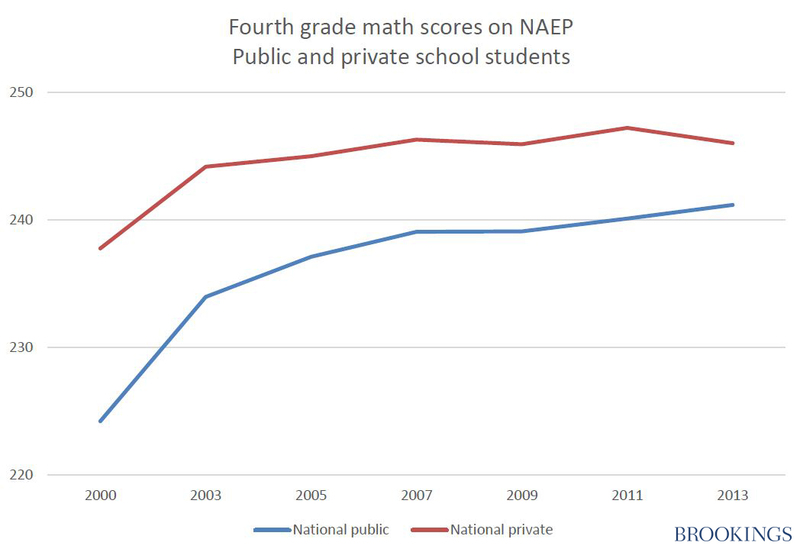 The figure below shows that in 2000, there was a 14 point gap between public and private school students in fourth-grade math National Assessment scores, but by 2013, the gap had closed to 5 points. This may suggest that, with the introduction of school voucher programs across the country, public schools feel the pressure to deliver results in the form of better test scores to avoid losing more students to private, charter, or parochial schools. These studies indicate that school vouchers have at best no effect on educational outcomes and in many instances can produce worse results for students than their local public schools. Despite the plethora of evidence showcasing the ineffectiveness of school choice programs, school choice advocates maintain that the data shows that school choice programs correlate with higher high school graduation rates, higher parent satisfaction, and improved performance of surrounding public schools. The Center on Education Policy reports that voucher students in Milwaukee and Washington D.C. graduated high school at a higher rate than their public school counterparts. However, it is unclear whether or not the higher graduation rates were caused by practices within the voucher schools or if the types of students who chose the voucher route were more likely to graduate high school regardless. Parents of students who received vouchers were generally more satisfied with their child’s school than parents whose children are in public school. Again, this needs to be taken with a grain of salt as parents who get more freedom to choose their child’s education would most likely be more satisfied regardless of whether or not the school contributes to student higher achievement. Interestingly enough, the competition argument concerning school choice appears to be valid as public schools in Milwaukee that were more directly in competition with voucher programs and private and charter schools had higher test scores than public schools that were not affected by voucher programs and thus did not have to compete. The data that gave the strongest validation of the effectiveness of school choice came from a study done by the Cato Institute, which indicates that choice programs affect college attainment, employment, earnings, and social outcomes in adulthood. It states that students who went through choice programs are 4.7% more likely to enroll in postsecondary education. The study also concludes that students who choose to attend a school that is not their local public school earn 5-7% more when they reach the ages of 28-30 than those who stayed in their local public school. 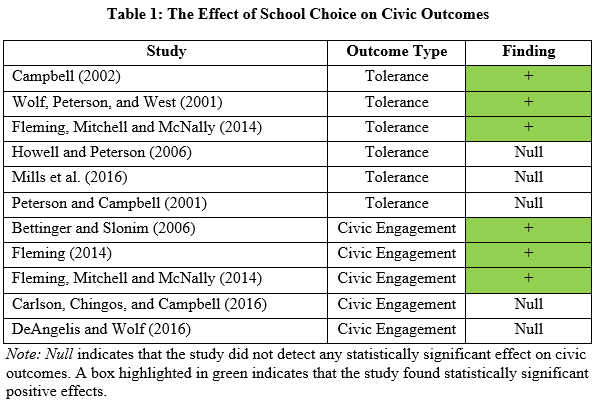 These results reflect that students who go through choice programs may become better connected with more influential people, thus causing them to stay in school and earn more throughout their lives. The data certainly suggests that, despite criticisms, school choice may have tangible benefits for students. School choice remains controversial in the United States, with big money interests clouding the debate on both sides. Teacher and other public sector unions lobby against such policies, while various corporate interests showcase their vocal support. Given the positive effects that school choice may offer, parents should still be wary of the motivations of charter and parochial school officials. If anything can be taken away from these findings, it’s that school choice can thrive if and only if the state can properly regulate both the financial practices of non-public schools and their teaching standards. The quality of education within the classroom should be the paramount concern for policymakers, parents, and students alike. After all, it shapes the minds of our future leaders and equips them with the critical thinking skills that will be necessary for solving the problems of the future.